Whether it’s jigs, fixtures or grips, tooling remains a vital, if seemingly mundane, part of the manufacturing process. Regardless of the complexity of your products, the productivity and efficiency of your production depend on the availability of high-quality tooling aids. Over the last few years, there has been a radical shift in the way these tooling aids are produced: from Volkswagen to Boeing, Jabil and more, leading manufacturers have seen the benefits of 3D printing as a means of tooling fabrication. So how can 3D printing these manufacturing aids help manufacturers achieve a lean manufacturing process? 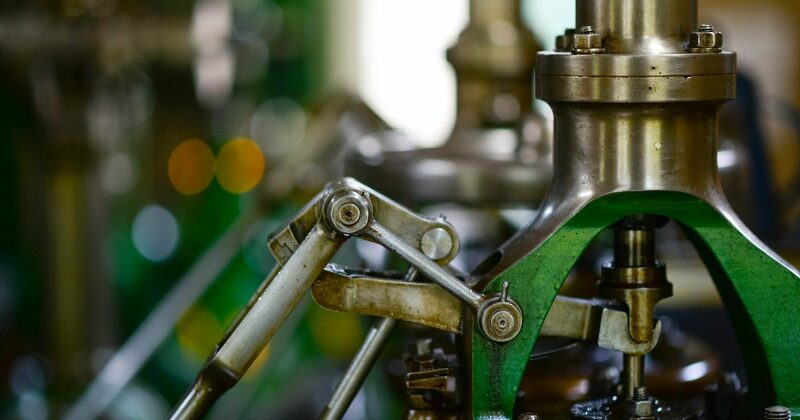 Maximising production efficiency and productivity is a key concern for manufacturers. Jigs and fixtures are manufacturing aids used to increase the reliability, accuracy and quality of the manufacturing process, whilst minimising production cycle times and improving worker safety. Fundamentally, the purpose of jigs, fixtures and manufacturing aids is to provide an accurate, repeatable and interchangeable manufacturing process, whilst reducing production time and human error. A jig is a tool that holds and supports the workpiece whilst guiding the cutting or machining tool for a specific operation. The most common type of jig is a drill jig, which guides the drill bit to the desired location. Fixtures hold, support and locate the workpiece (but do not guide the cutting tool) during the machining or assembly process. Fixtures are typically attached to the machine, and each fixture must be built to fit a particular part or shape. By 2020, an estimated 75% of global manufacturing operations will be using 3D-printed tools, jigs and fixtures to produce end-use parts, according to a report by Gartner (2016). Typically, traditional manufacturing methods require jigs and fixtures to be CNC machined or manually welded and assembled. This process can take days (or weeks if outsourced), not least because machining parts requires intensive planning and skilled machine operators. Unsurprisingly, using traditional manufacturing methods results in long lead times, high production costs and offers little flexibility in the way of new design changes. 3D printing, however, is an ideal alternative to producing complex, customised tooling at a fraction of the cost. A key benefit of 3D printing is the speed with which parts can be produced. Since 3D printing is a digital manufacturing process that uses 3D CAD models, all that is required is to upload said CAD model, and your part could potentially be printed in a matter of hours. This poses significant benefits for producing jigs and fixtures. With traditional manufacturing, tooling production can take days, or even weeks and involves several processing steps. However, with 3D printing much of the manufacturing process is automated, requiring less human intervention and accelerating the production process. Real-life cases are plenty: Volkswagen Autoeuropa, Portugal’s largest automotive plant, has reported time savings of 89% by 3D printing jigs and fixtures. Research conducted by Stratasys tells a similar tale: according to the manufacturer, 3D printing jigs and fixtures can result in lead-time reductions of up to 90%. The speed with which jigs and fixtures can be produced with 3D printing means that it is also ideal for producing multiple iterations of a device — facilitating innovative, new design changes. Alongside time savings, 3D printing offers a significant reduction in production costs. Often, the production of jigs, fixtures and other tooling equipment is outsourced to external suppliers. In contrast, 3D printing challenges this approach head-on by allowing manufacturers to bring the technology in-house. This new strategy — of low-volume, in-house tooling fabrication — means that manufacturers can cut outsourcing expenditure. Inventory is another area where manufacturers can dramatically reduce expenditure with 3D printing. Instead of storing tooling equipment, additive manufacturing enables on-demand manufacturing, so tools can be produced when needed. Finally, since 3D printing is an additive process (meaning that material is added layer by layer to produce a part) and not subtractive, manufacturers can easily minimise material wastage, thereby reducing material costs. Since jigs and fixtures require physical handling by workers on the production floor, creating lightweight parts that are easy to handle should be a priority for manufacturers. Here, 3D printing can help immensely through weight reduction. High-performance materials, for example, are a great alternative to metal cutting processes and provide a lighter alternative. Lighter tools also mean greater ease-of-use for workers on the production floor. And as 3D printing offers an unprecedented level of design freedom, tools can be designed ergonomically, providing greater ease-of-use for workers and improving accuracy when performing tasks. 3D printing can be used with a wide range of materials, from plastics and metals to rubbers and wax. Multi-material 3D printing is a rapidly growing area of interest, with materials combined to create new materials with enhanced mechanical properties. For example, 3D-printed parts can be chemical and heat resistant or possess UV stability. One of the biggest implications for jigs and fixtures is the development of high-performance materials, such as PEKK or ULTEM, which can be used to create strong, lightweight tooling parts with enhanced mechanical properties. However, greater production speeds and reduced production costs provided by 3D printing mean that new designs, optimised for performance, can be created at regular intervals. Finally, 3D printing facilitates the creation of customised products. Coupled with the ability to create complex geometries, the technology can easily be used to produce complex, customised tools that would otherwise be unachievable with traditional manufacturing methods. And the unprecedented level of customisation has benefits across a range of industries, for example, in the field of medical devices. Here, 3D printing is already in use to create surgical guides, reducing surgery and providing a better patient experience. Major manufacturers are already leveraging the economic and productivity benefits of 3D printing for tooling production. Jabil is a global manufacturing services company with 100 facilities spread across over twenty countries worldwide. With its arsenal of Ultimaker AM systems, the company is already exploring the use of 3D printing for producing jigs and fixtures. Its Auburn Hills facility in Michigan is a pioneer in the production of tooling using additive manufacturing. “Seems to me that, in the long run, all fixtures and jigs will be 3D printed, some will be in plastic, some will be in metal, but ultimately it just makes perfect sense.” – John Dulchinos, Jabil. With the technology, the company can produce one-off batches of jigs and fixtures with multiple design iterations without any cost constraints. The facility is now able to reduce the cost of tooling by up to 30% and reduce the time required by 80%, whilst increasing customer satisfaction. “3D printed tools and fixtures are an area most manufacturers can benefit from when applying 3D printing into their existing processes,” according to Jabil’s Director of Additive Manufacturing, Tim DeRosett. Aerospace and defence manufacturer, Moog Aircraft Group, has been using Fused Deposition Modelling (FDM) technology to 3D print Coordinate Measuring Machine (CMM) fixtures. According to the company, outsourcing the production of CMM fixtures resulted in a lead time of four to six weeks, from conception to the final part. With 3D printing, however, the company can produce the same fixtures in-house, in roughly 20 hours. The price for the 3D printed CMM fixtures has also fallen from £2,000 to a couple of hundred pounds. However, 3D printing is not only useful for small manufacturing aids. In 2016, a collaborative project between Boeing and the Department of Energy’s Oak Ridge National Laboratory (ORNL) in Tennessee, produced an impressively large 3D printed trim-and-drill tool for Boeing’s 777X aircraft — setting a world record at the time for the largest 3D printed object. Previously manufactured with traditional manufacturing methods using metal, the trim-and-drill tool was 3D printed with carbon fibre-reinforced ABS in only 30 hours. The rapid production was achieved thanks to the proprietary Big Area Additive Manufacturing (BAAM) machine, developed particularly for large-scale AM applications. 3D printed tooling is also widely used in the automotive sector, and BMW is one notable example: the German automaker used Fused Deposition Modelling to produce hand tools for assembly and testing as an alternative to traditional metal-cutting manufacturing methods like milling or turning. Thanks to 3D printing, the weight of the ergonomically designed tools has been reduced by 72%, making it easier to use for workers and enhancing the functionality of the device. 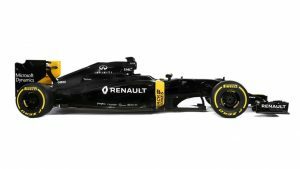 3D printing has also been a valuable solution for tooling fabrication at Renault Sport Formula 1. Among its many applications of 3D printing, the company has used Stereolithography (SLA) to produce jigs for the exhaust system of its race car. Prior to adopting additive manufacturing, Renault used CNC machining to manufacture its jigs, which could take days – and assembling pre-machined parts could take a week. In contrast, with additive manufacturing, 15 jigs can be produced overnight — a significant time-saving. While jigs and fixtures may not the most glamorous aspect of additive manufacturing, they remain crucial to the manufacturing process. AM is an ideal alternative to ensuring an efficient production process, helping to produce jigs, fixtures and other aids in a fraction of the time and cost. Looking ahead, as tool making becomes more of a customised endeavour, manufacturers who have already adopted 3D printing will reap the benefits of a more streamlined manufacturing process and experience vast improvements in efficiency and quality within production and assembly lines.